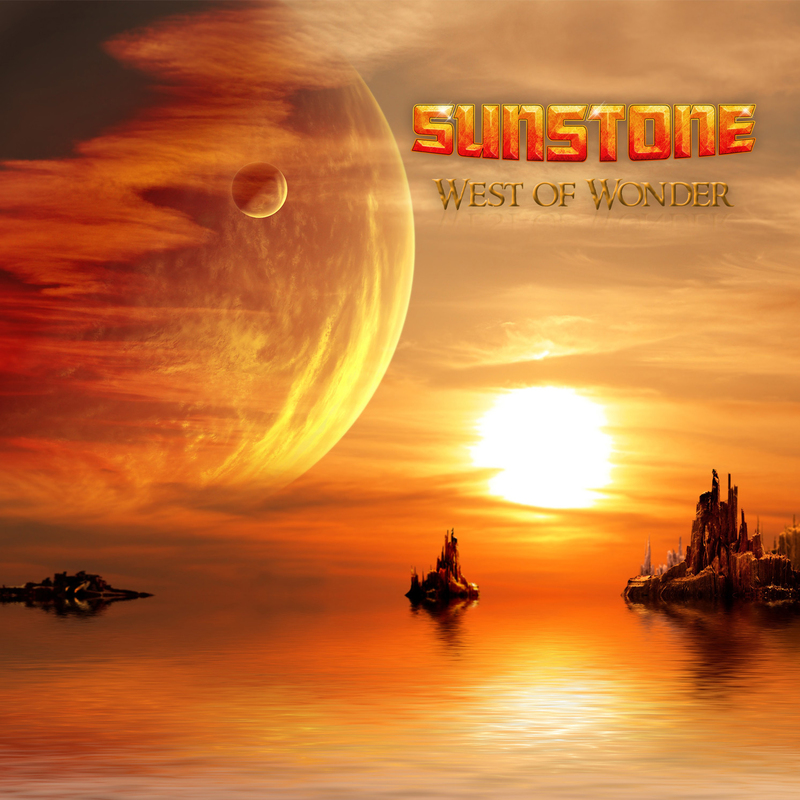 SunStone’s debut album West of Wonder is a blend of classic hard rock, acoustic rock, searing blues, and psychedelic arrangements. By incorporating driving rock with multi-layered guitars, keyboards, and multi-part vocal harmonies, the album reflects a throwback to the days of album rock with a modern rock-n-roll flair. SunStone’s influences are clear with sounds recalling bands such as Black Crowes, Jethro Tull, and Led Zeppelin. West of Wonder is now available on iTunes and sunstoneband.com. The album opens with the groovy track Little Miss Sassie, reminiscent of Lenny Kravitz’s American Woman building up the twin guitar attack underpinned by various thick keyboard tracks. The title track West of Wonder is a hard rock war anthem with lyrics evocative of Iron Maidens iconic work. Songs such as Refuge, Towards the Sunshine, and Leave This Town adds a tranquil ambiance while tracks such as Mojo Groove, Things Are Knockin, and Down to the River gives off a southern rock vibe  with influences ranging from Pat Travers, Eddie Van Halen, and Jimmy Page. The closing track Moroccan Twilight is an epic instrumental song filled with heavy guitar and synthesizers giving West of Wonder the powerful outro it deserves. Josh Roach is the driving force behind SunStone. As a classically trained guitarist since the age of eight, Josh has always been passionate about music. Music however, is not his day job. Shortly after graduating with a degree in computer science from San Diego State University, Josh became a force to be reckoned with in the technology industry. One of the many technological advances he has had a hand in is the ability to take a picture of a check and deposit it with a smartphone, which was developed by Mitek Systems during his time as Senior Vice President. His current position is Chief Technology Officer and Founder of Boost Academy specializing in building highly immersive, interactive tablet and cloud based tutoring, mentoring, and training apps changing the learning landscape. Josh wrote and produced all of the songs on West of Wonder while the album is co-engineered by Rich Varville. Josh’s musical contributions include 6 and 12-string electric and acoustic guitars, bass guitar, keyboards, backup vocals, harmonica, and percussion. Josh worked closely with several Southern California musicians contributing to West of Wonder include Jon Campos (lead vocals), James Raub (drums and percussion), Barry Dubis (piano, organ, synthesizers, and orchestration), and Amber Dewar and Beth Roach (backup vocals).